Customer feedback is essential to improving your product, your delivery, and even your fundamental understanding of your users. Most companies know this, but struggle to gather enough good feedback, beyond the occasional survey, to act on. Why? It could be as simple as the fact that many companies don’t actually ask for feedback. Those that do often make it hard for users to provide feedback. 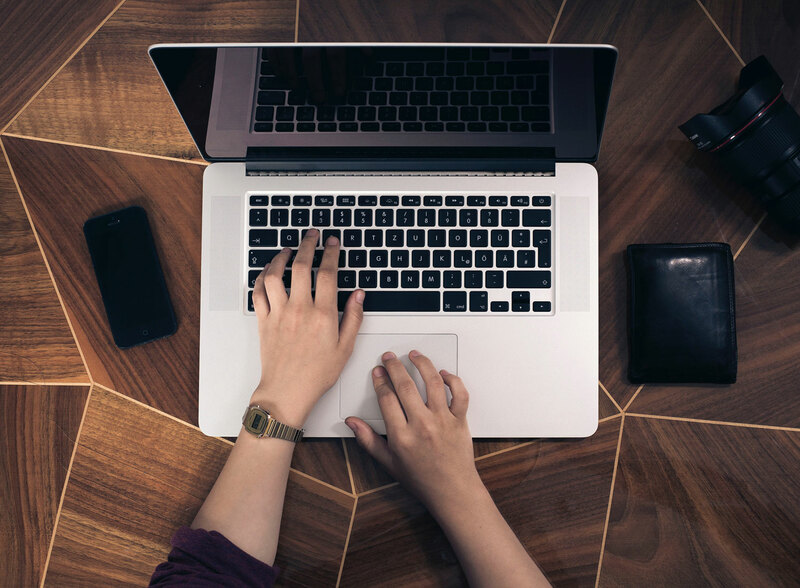 Here are nine tips for designing and writing customer feedback forms that get more responses and more useful feedback for improving your business. 1. Leave plenty of white space. The form should appear uncluttered and easy on the eye. A cluttered form scares people away because it looks time-consuming and hard. 2. Label the form fields well. Make sure what you’re asking is clear and concise (more on this in the next section). This includes being visually clear: Placing each label close to its corresponding field reduces the time it takes for a user to complete the form. The further the label is from the field, the more the user’s eye has to travel back and forth to avoid making a mistake. This increases time, effort, and frustration. 3. Don’t make any fields compulsory. Make it as easy as possible for users to provide even small amounts of feedback. If the user doesn’t want to answer one of the four questions, don’t stop them from submitting the form. Never forget that customers are doing you a favor—they don’t owe you anything. 4. Set the tabbing order. This means marking up the form fields during development to create a logical flow. This is helpful for desktop and mobile users who wish to tab through the form using the keyboard rather than lifting their mouse or finger to move to the next field. 5. Make it compatible with mobile devices. If you follow the above rules you’ll already be halfway to a form that looks as good on mobile as on a desktop. Make sure the form is responsive (i.e., it resizes depending on the device it’s being viewed on). 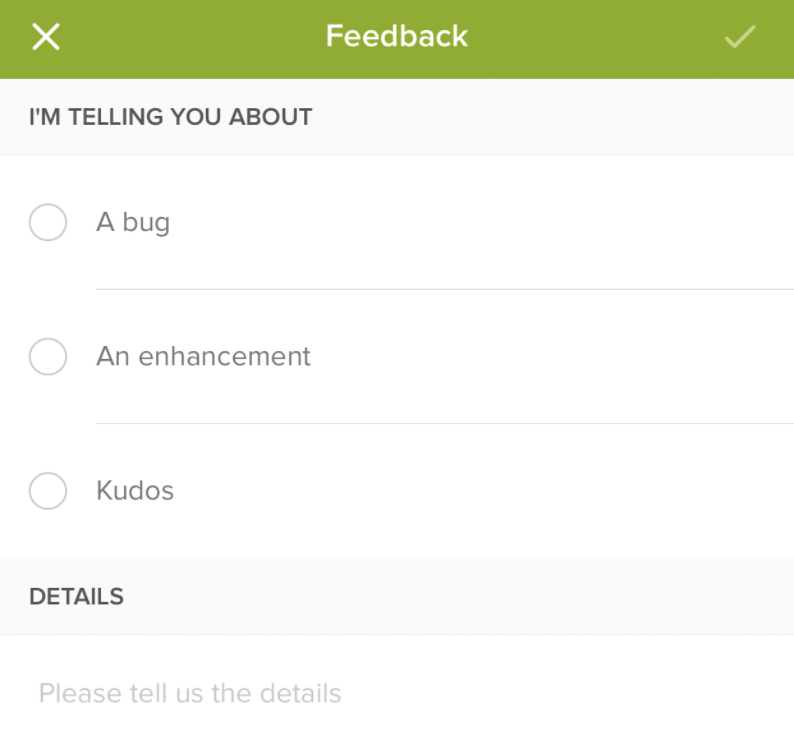 Bonus tip: Feedback forms can also benefit from feedback! But since it would be strange to ask for feedback on a feedback form, use form analytics to report on where users are struggling to complete your form. Look for the fields where users spend the most time, make the most corrections, or are otherwise slowed down or stopped. 6. Write little, but well. Cut down the number of questions in the form so it only includes those that have the clear goal of gaining a better understanding of your users’ experience. The fewer questions, the better. Stuck coming up with ideas? Here’s a list of 29 possible questions to ask users about your service, with sections for getting feedback on your website, your product, and your competitors. Avoid jargon and keep language simple and consistent (e.g., in your feedback form, use the same terms you use in your product). 7. Find out what you don’t know. The most useful feedback helps you learn something you didn’t already know. What’s hidden in your product that you aren’t aware of? Do your customers use the product differently than you expected? The best way to learn something new is to include a “free text” box. It also shows your users that you care about what they have to say. Multiple choice fields only give you the answers you’re expecting, in your company’s own language. Don’t waste your users’ time and energy asking for information that you already have (like the product they purchased). If there are things you know about the user from your interactions with them, you should do the work of connecting that data to their feedback when you do your analysis; don’t put that burden on the user. 8. Create consistent rating scales. If you include more than one question with a rating scale, make sure that the scales are consistent from question to question. If 1 is the best and 5 is the worst in one question, don’t change the scale from 1 to 10 on the next question. In information fields that have multiple choice questions, conventional wisdom says that you should pre-select the most common answer to lighten the load for users. However, this advice doesn’t apply to feedback forms. Don’t pre-select any answer in this case, because it’s leading, which is less useful and makes you look untrustworthy. 9. When in doubt, don’t ask. Asking marketing questions could even result in lower response rates as users are less likely to feel motivated to fill in the form because the responses can only be used to gain new customers, not to improve the experience for existing users. You always have the option of setting up a marketing survey if you still need this type of information. Bonus tip: Use the information you already have about your users to personalise the feedback process (e.g., “John, can you help us improve our service by answering some questions about your experience upgrading your account?”). It’s important to think about your plan for responding to and acting on the feedback that you get. Listen to upset users on an individual basis, respond to them, and win them over if you can. Promising a speedy response to complaints may be one way to increase the amount of feedback you get. However, you don’t need to think about changing your product or service until you can verify to what extent the issue affects your users. Feedback is characteristically biased to be either very good or very bad, as it comes from people passionate enough to give feedback. Look for patterns in the responses you receive. 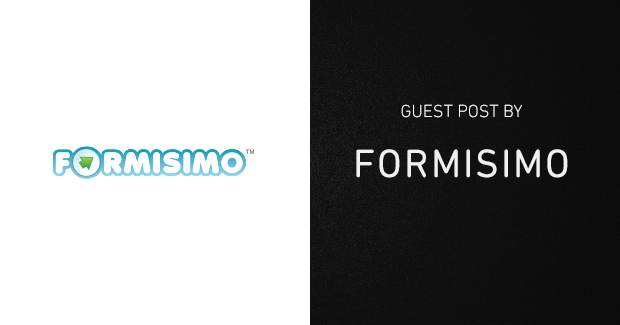 At Formisimo, our own tool is always evolving based on customer feedback. We look for insights from every interaction with our customers. What sometimes starts out as a creative workaround for one customer can lead to a new feature if more customers provide feedback that uncovers similar needs. 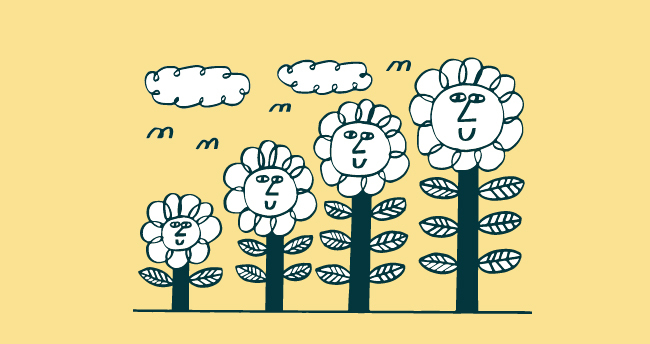 Today’s guest post features the wisdom of Hazel Bolton, content manager at Zendesk partner Formisimo, which measures how visitors interact with the forms on your website.